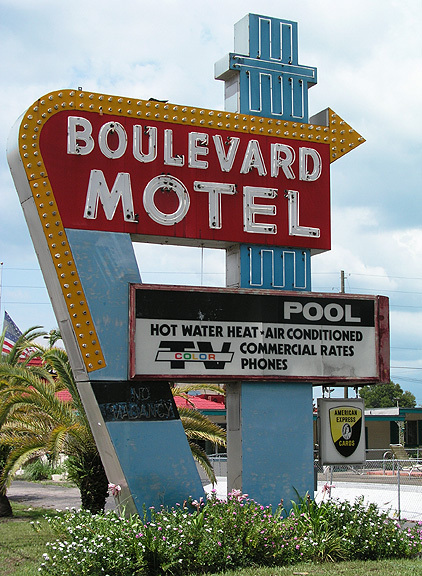 If your itinerary demands a Westerly drive, make sure you make time for St. Petersburg, postcard City of Green Benches where the Sandman Motel provides an essential stop for motel photographers. 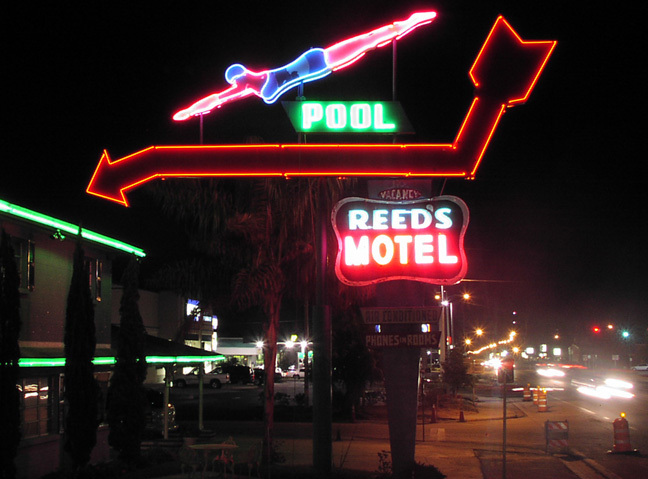 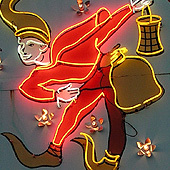 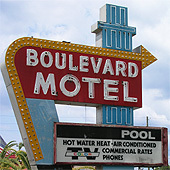 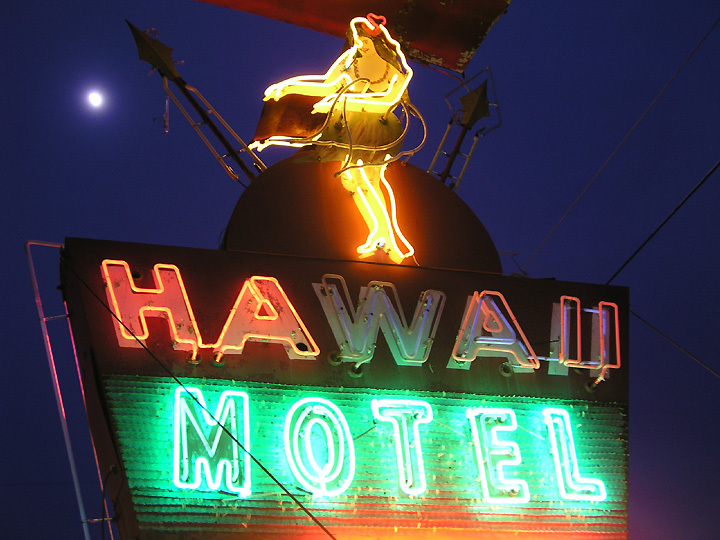 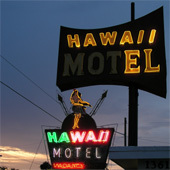 The sign features a twinkling figure with a trailing nightcap and bag of sand inviting strangers into the land of nod. 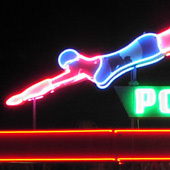 Like a street mime or Olympic gymnast, the figure looks cute at first, but gets creepy after a while. 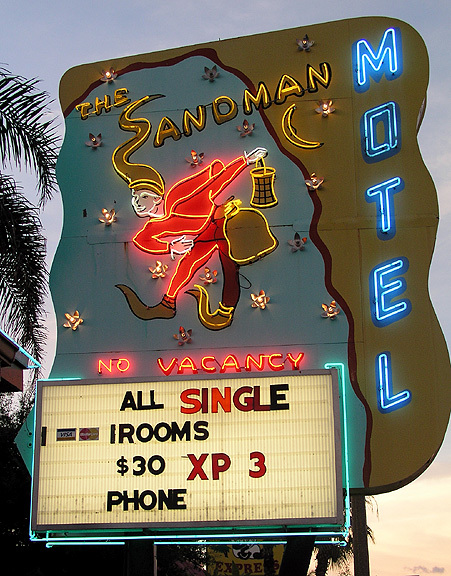 Even so, the rooms provide an inexpensive respite from bay area traffic. 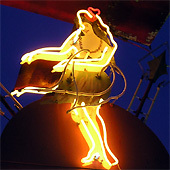 Traveling up 19, you will find a dozen or so neon beauties along the quiet stretch of road, many oriented around the town of Perry. 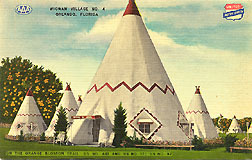 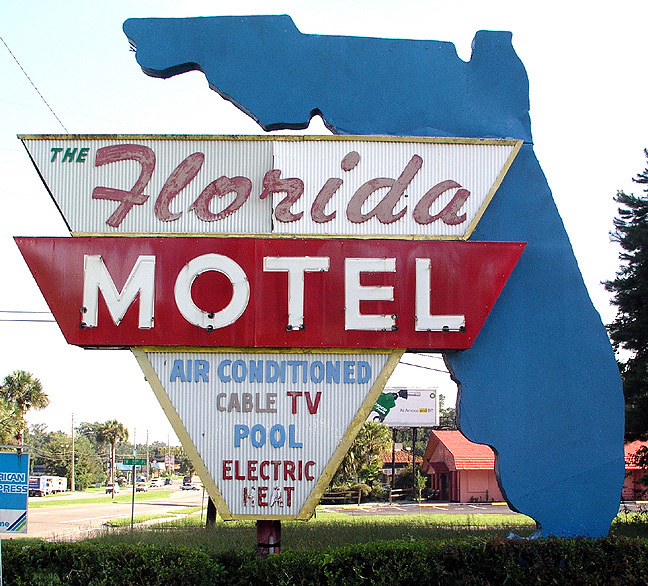 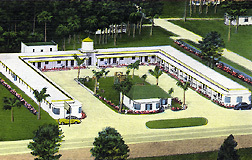 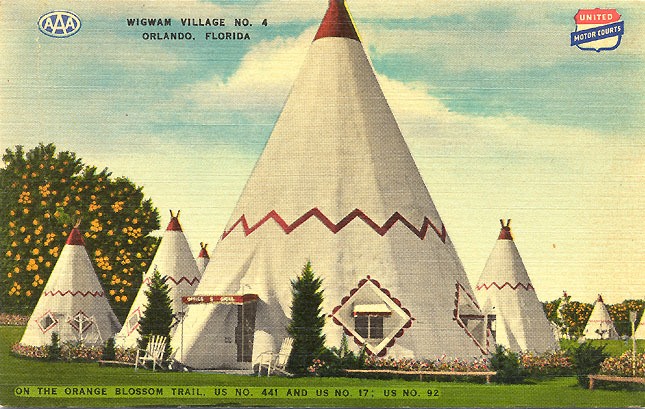 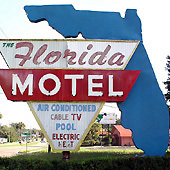 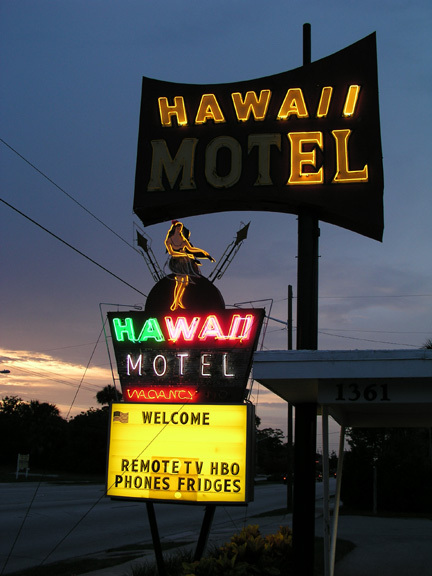 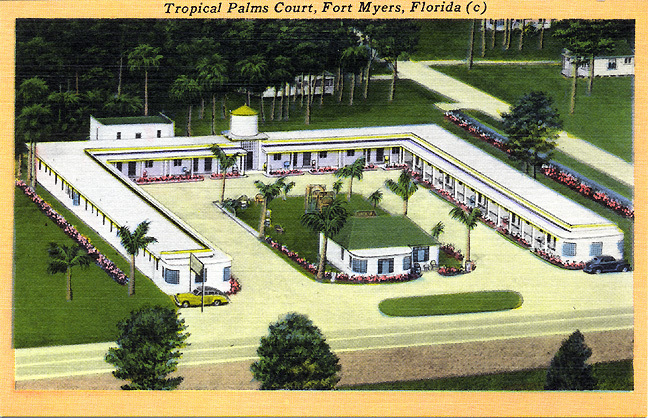 Here, the leisurely fantasy of 50s and 60s Florida, a land of shuffleboard courts and inexpensive t-shirts, seems to attract the kinds of travelers who never even heard of the whip-fast interstate just a few miles away.